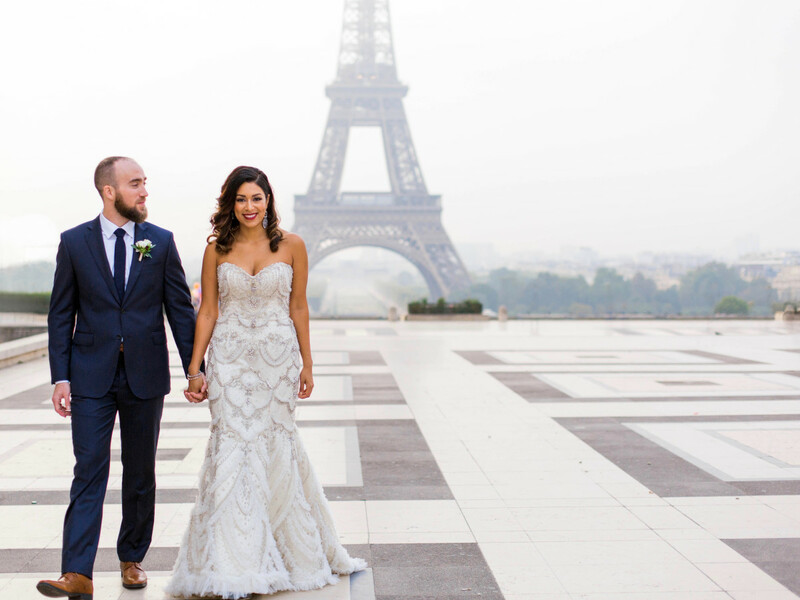 As the first rays of sunlight were streaming through the Eiffel Tower, Jamie and Chase Erlich said yes to forever together. 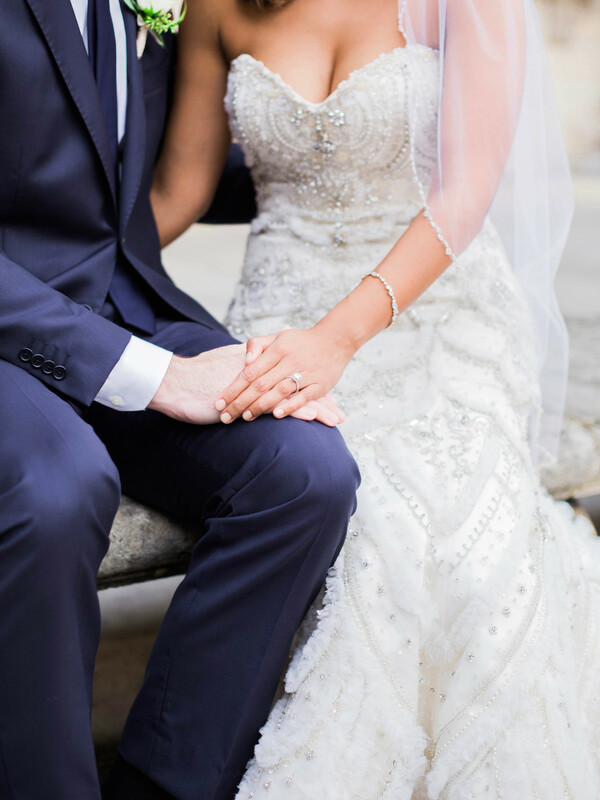 Their August 26th wedding at the base of the iconic landmark was an extremely intimate affair. 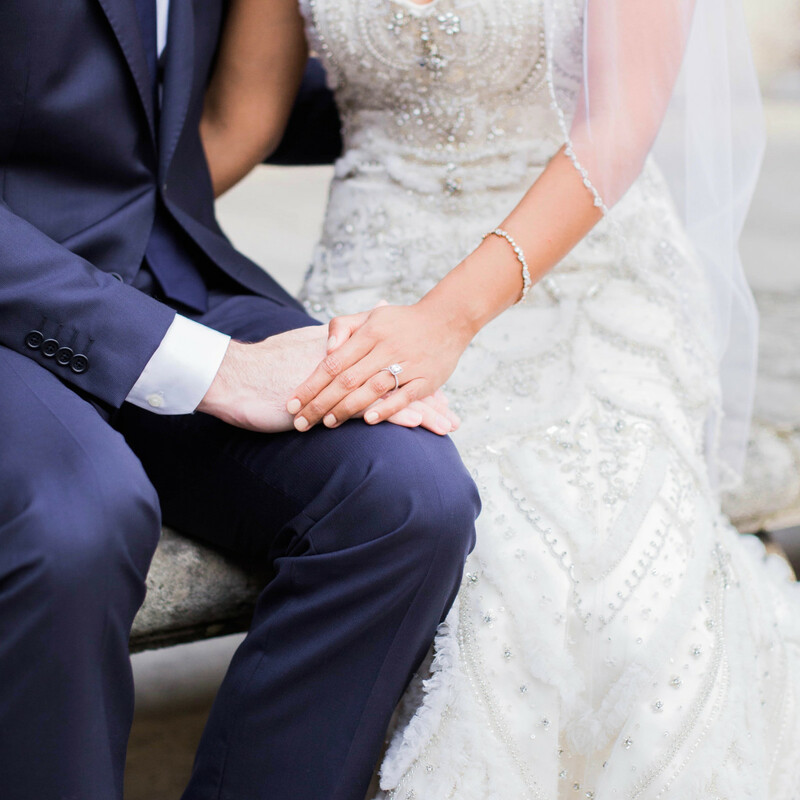 It was just the couple and the officiant, and it was truly everything they always wanted. 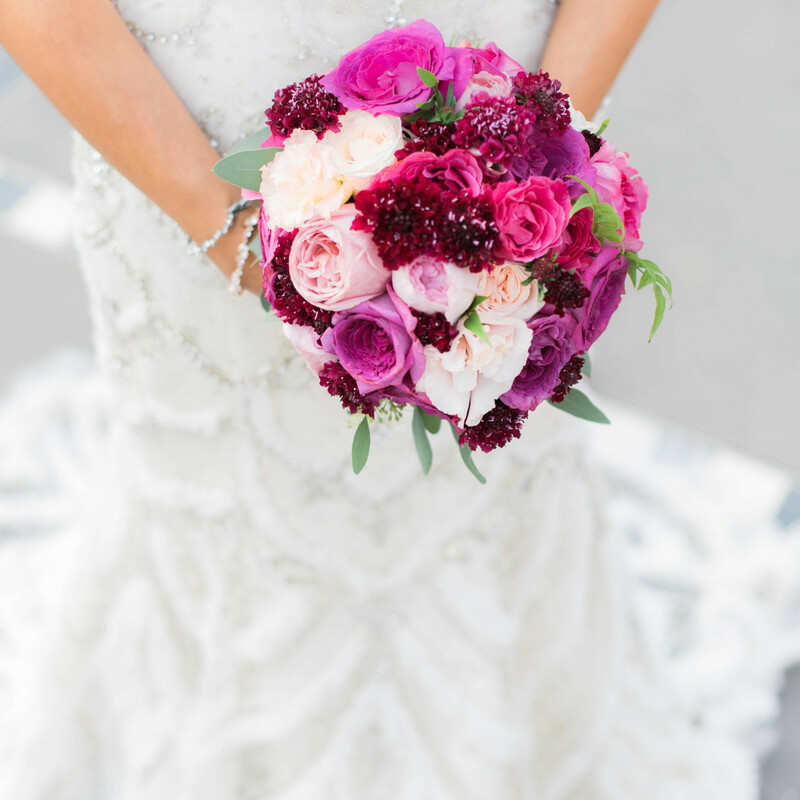 After a decades-long relationship and a sunset proposal in Santorini, Greece, in April 2016, the couple began preparing for a more traditional wedding in Houston, but it soon became evident that place cards and cake options weren’t the most important elements of a wedding. So the couple made a bold move. Just because they were eloping though, didn’t mean there still wasn't planning to do. Fortunately, Jamie, the brand marketing manager for the Drunk Elephant skin care line, is used to taking charge and getting things done. 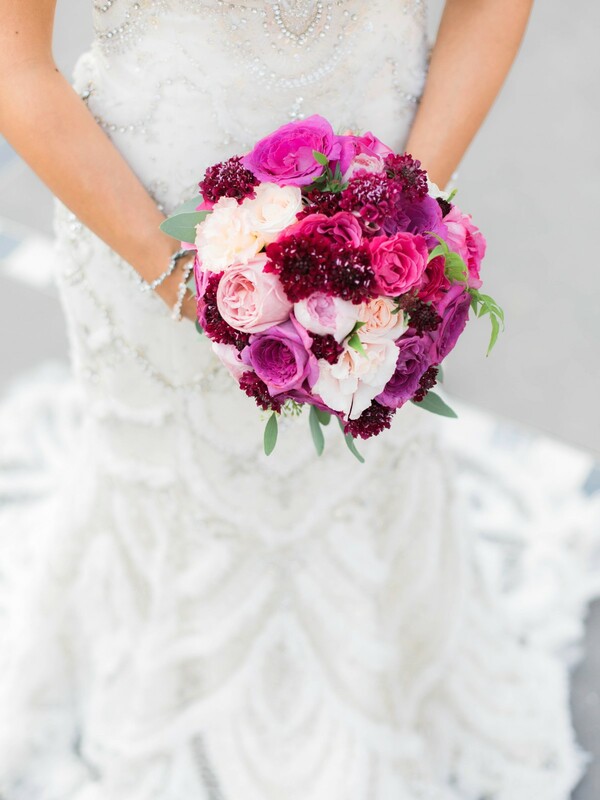 She connected with a wedding planner at Elegance In France who just happened to be married to a wedding photographer and they started nailing down logistics — unromantic wedding elements like finding a hair and makeup team to start work at 3:45 am for a sunrise wedding and then holding the ceremony before one of the world’s most popular destinations was flooded with tourists. They chose the early time so they would have the famous landmarks to themselves and wouldn’t have to worry about hordes of strangers in their photos. “We had to go through all difficult planning in the beginning to find out how easy it would be at the end,” Jamie said. She created a spreadsheet with a timeline and covered every possible scenario. 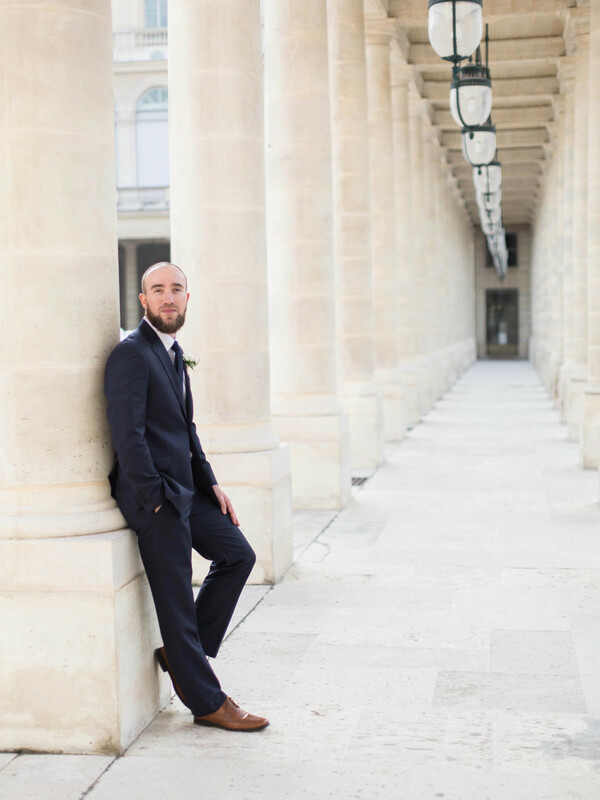 Even the most prepared are sometimes met with a challenge, so when Jamie’s luggage didn't arrive, she raced across the street from her hotel to Zara and bought a simple pair of black heels. “They were the perfect heel hight, but honestly, I would have worn Kleenex boxes on my feet if I needed to,” Jamie said. It was the only hiccup though. It turned out her hair and makeup stylist, Trine Juel, loves weddings and just happens to work on editorial campaigns for Christian Dior, Lanvin and Vogue. 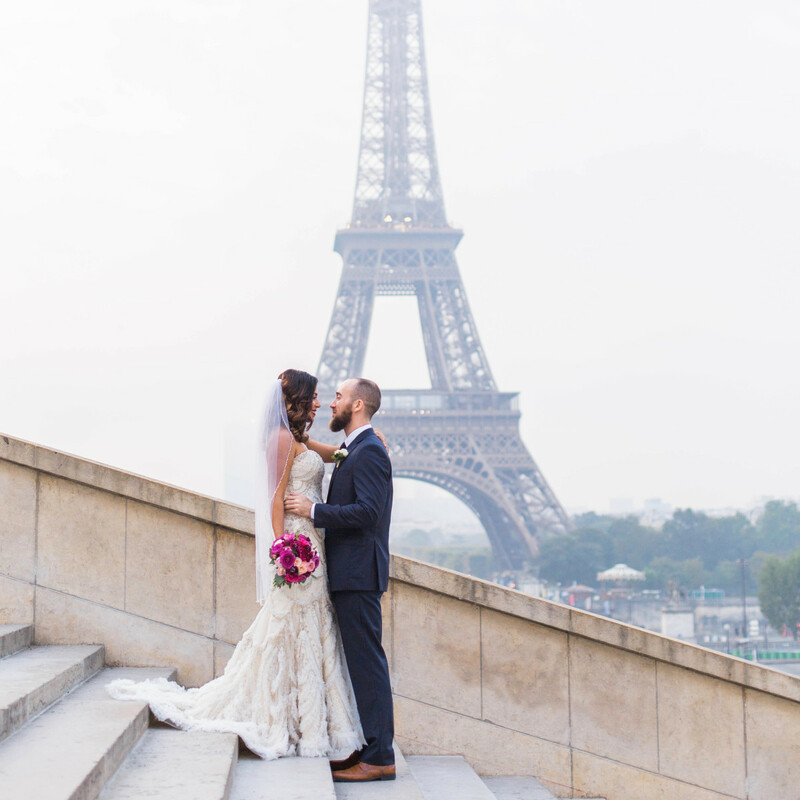 The rain that had been falling previous to the couple touching down in Paris lifted and it was a breathtaking morning, with weather practically begging for the couple to wed at sunrise. 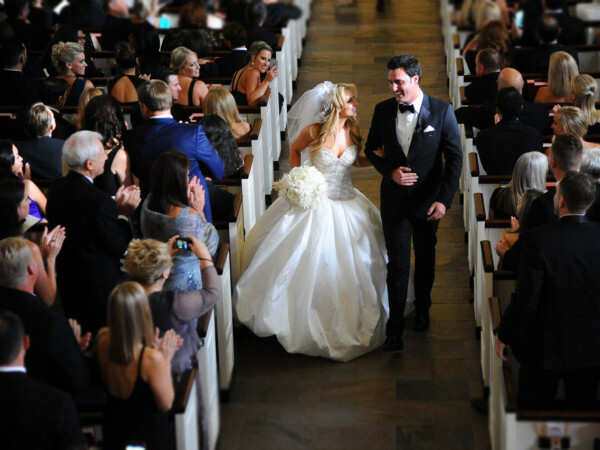 “Telling our vows was unlike anything I had ever envisioned. There were tears all around and it was just an amazing day,” Jamie said. 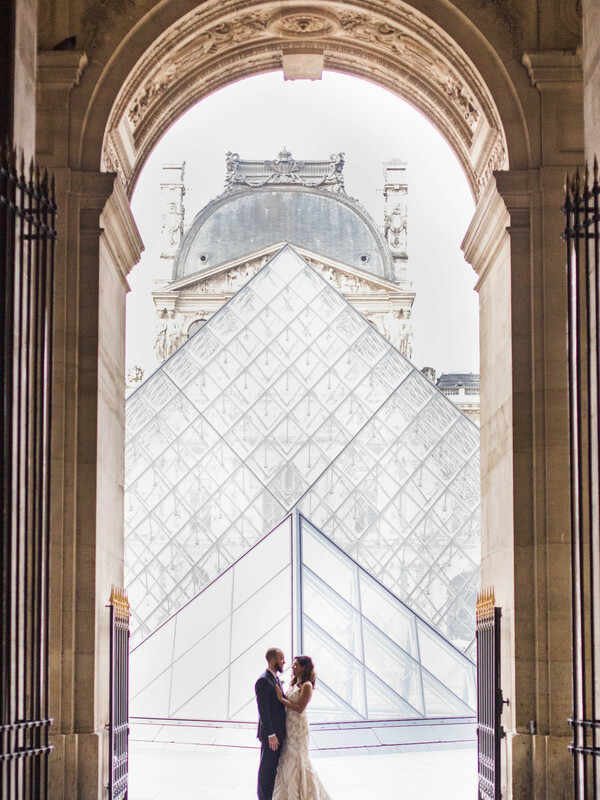 The early hours enabled them to take stunning photos, marking not only their wedding day, but Paris’ incredible architecture. 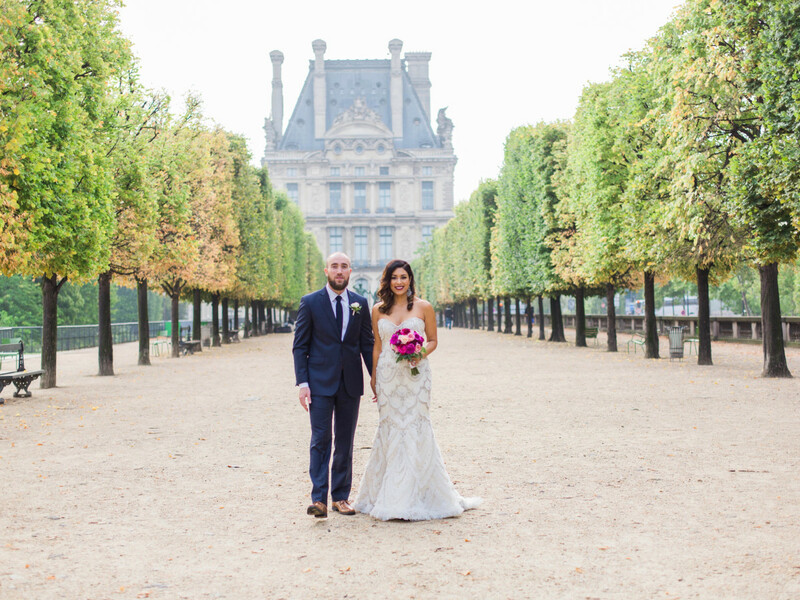 Unfortunately, Jamie’s luggage never did show up (thankfully she hand-carried her gown and veil) so post-wedding, the newlyweds dashed around Paris so she could buy basics for the honeymoon, which included stops in Marrakesh and Madrid. 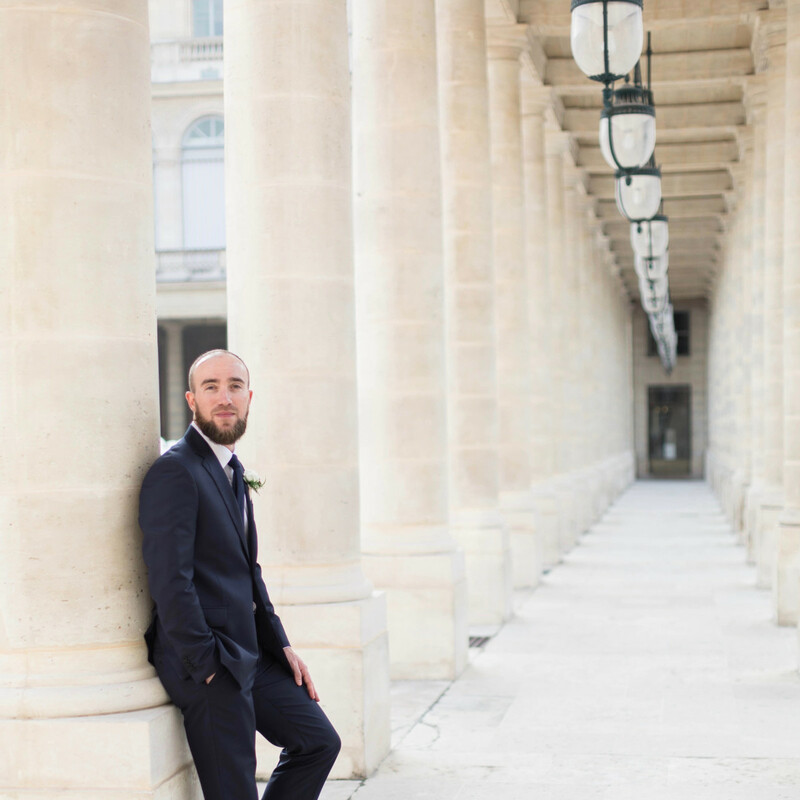 They celebrated their wedding with dinner at Monsieur Bleu at the Palais de Tokyo and had planned a post-dinner tour of the museum, but opted instead for a whisky tasting. “It was so out of the ordinary and something we would never do. It was a fun ending to an amazing day,” Jamie said. 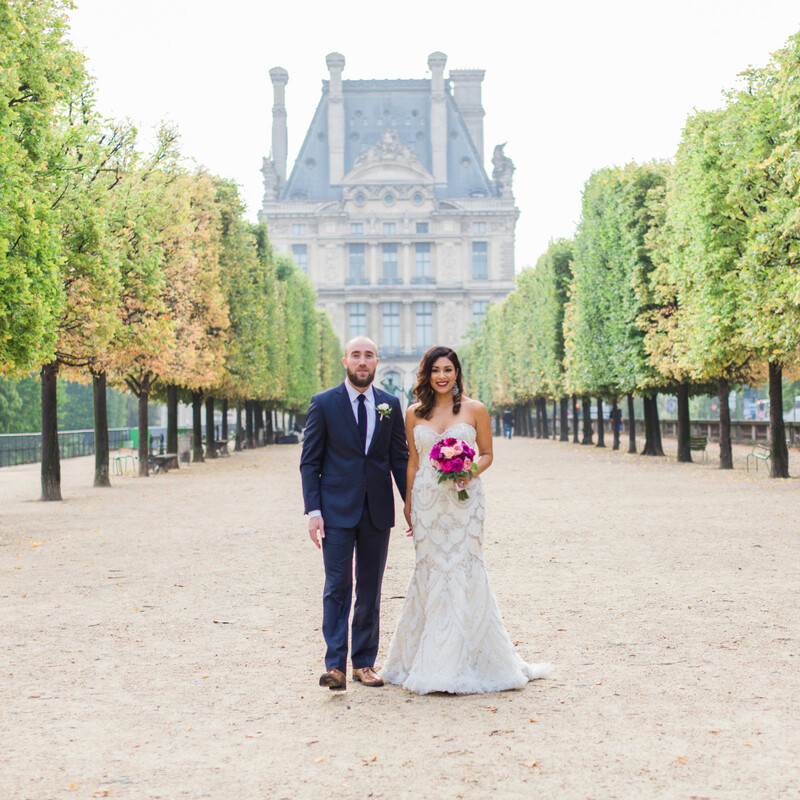 The shared desire to travel the world is an important element to their relationship and the duo have logged quite a few miles over the past 10 years. 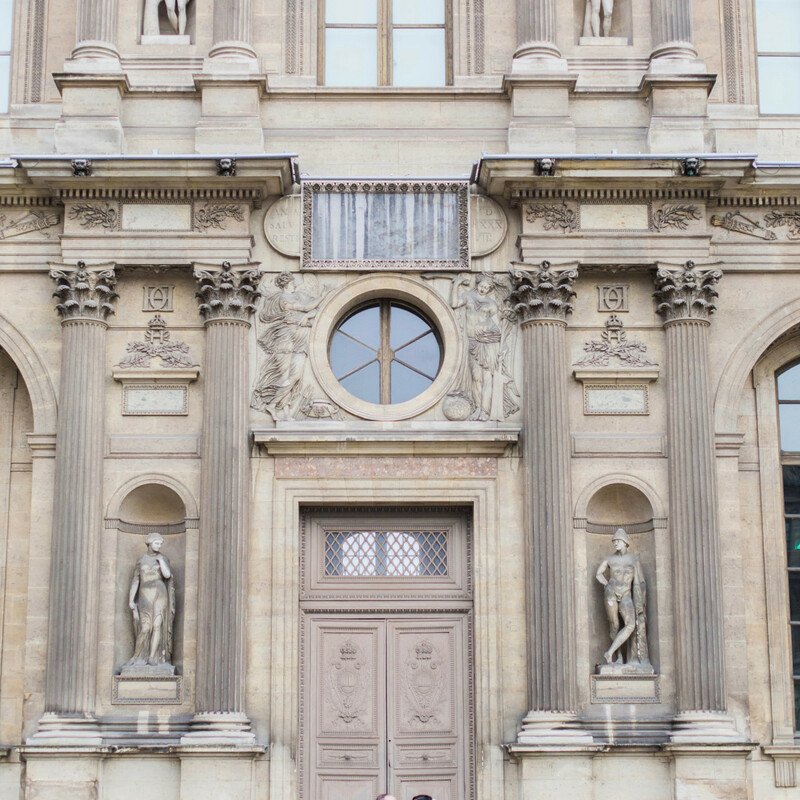 They fell in love in Paris and wanted to continue their story on the continent that means so much to them. 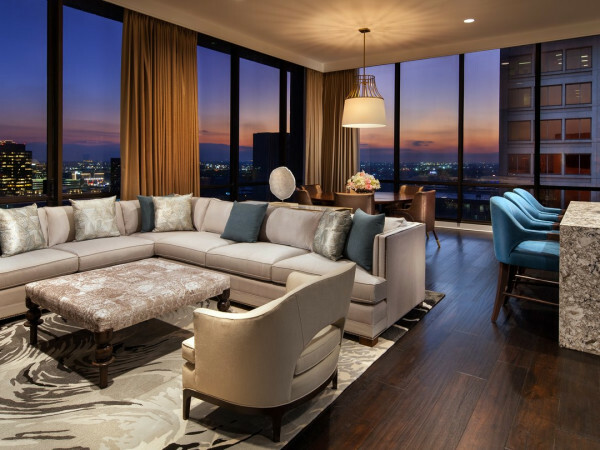 “We made a lifelong promise to celebrate the future in other cities,” Jamie said. And until that next trip takes flight, they will always have Paris. 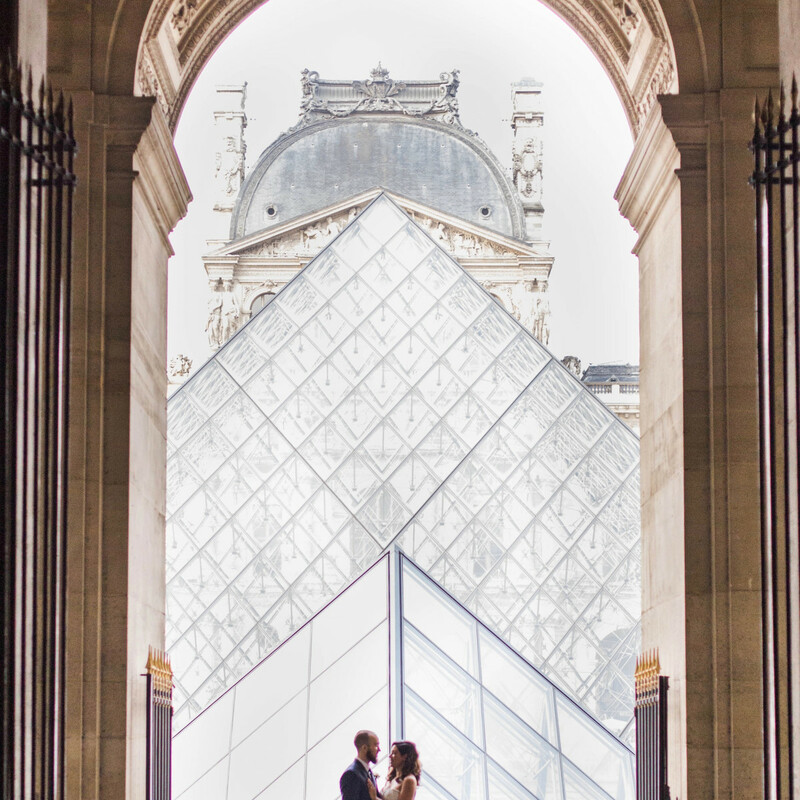 • First dance music: Place du Trocadero, Nat King Cole's "L-O-V-E"